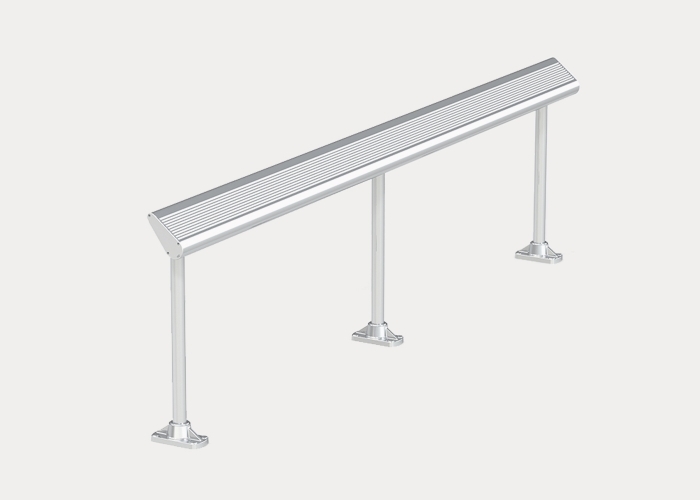 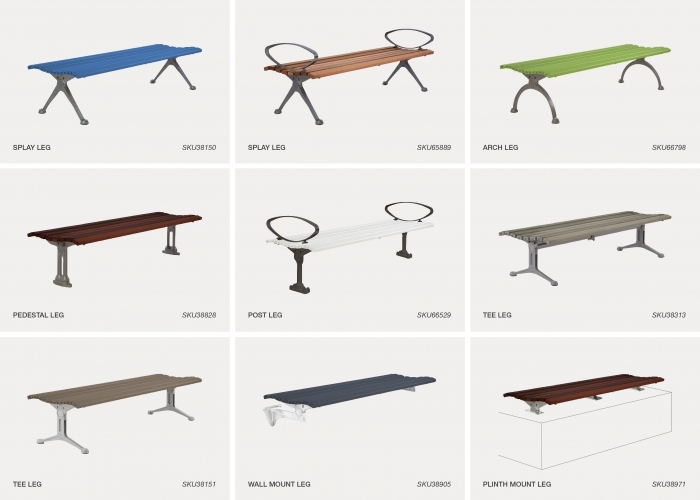 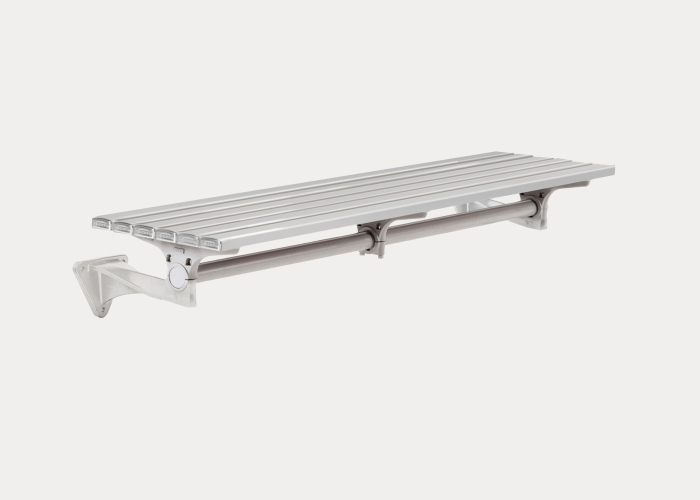 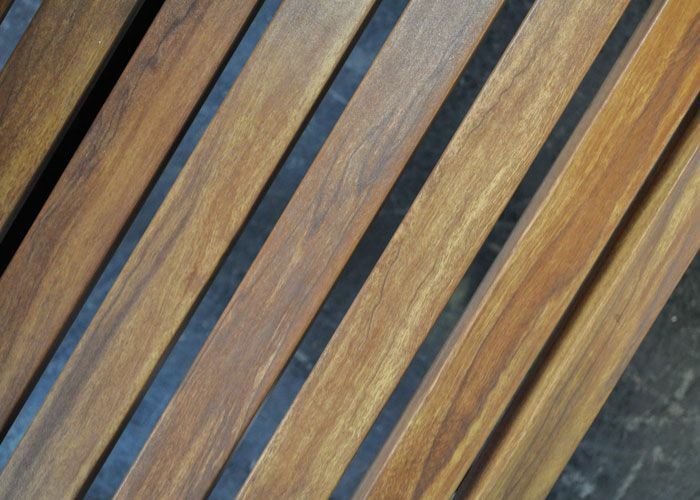 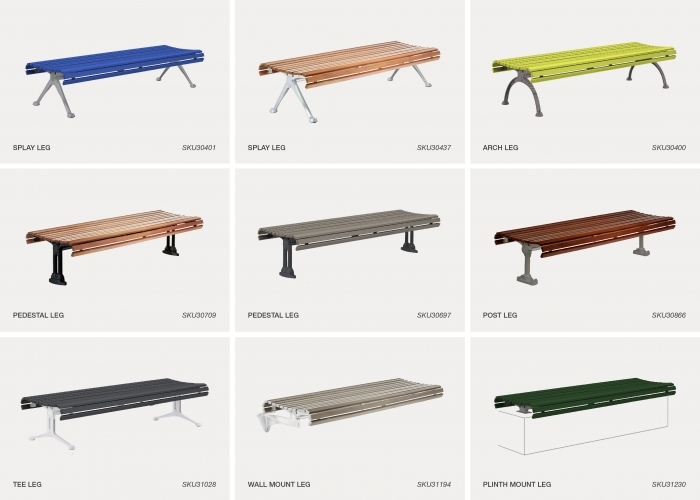 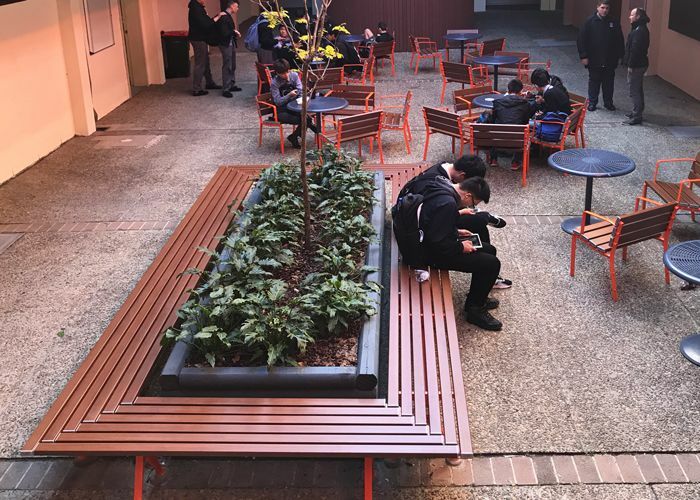 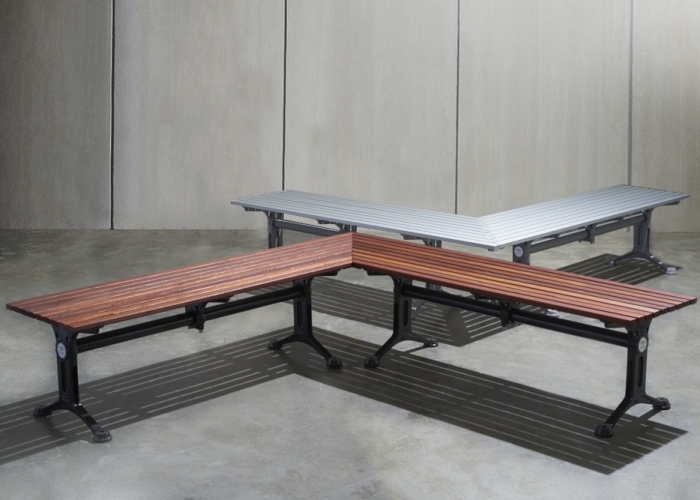 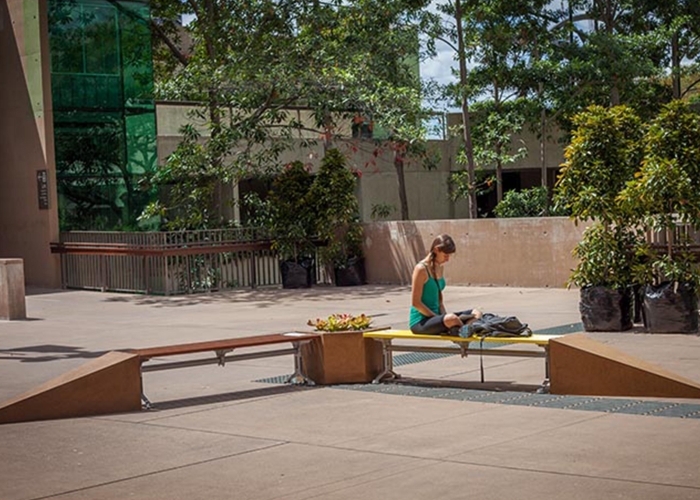 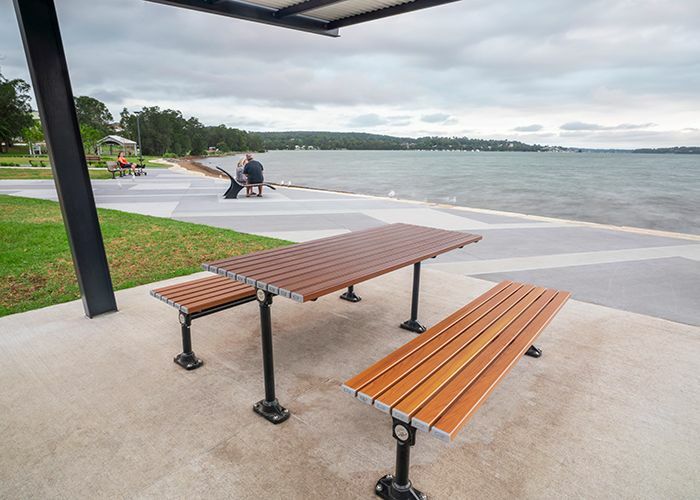 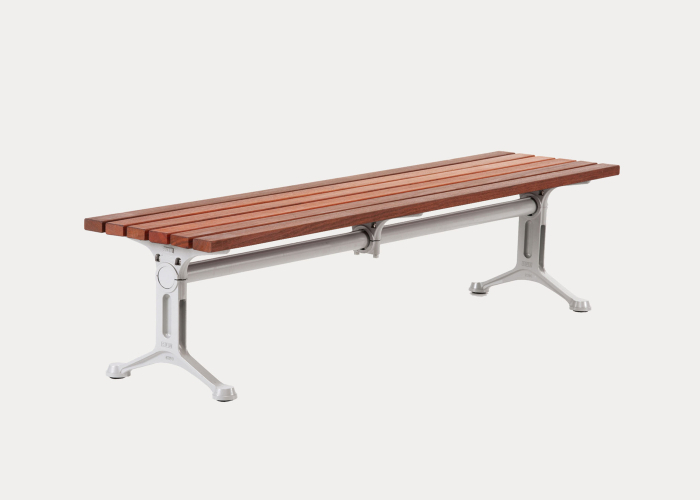 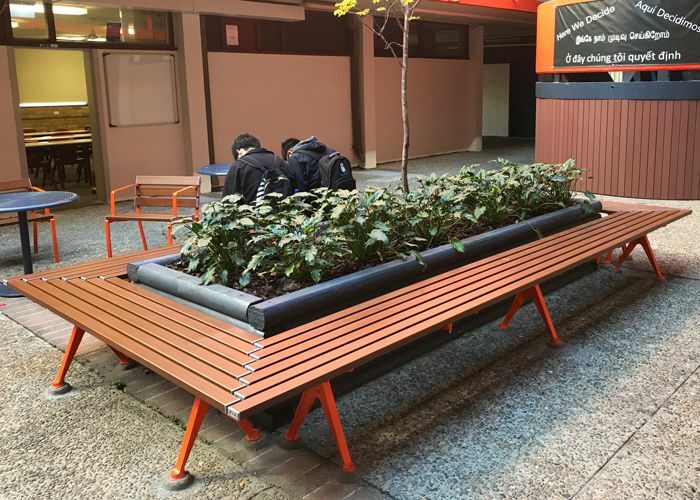 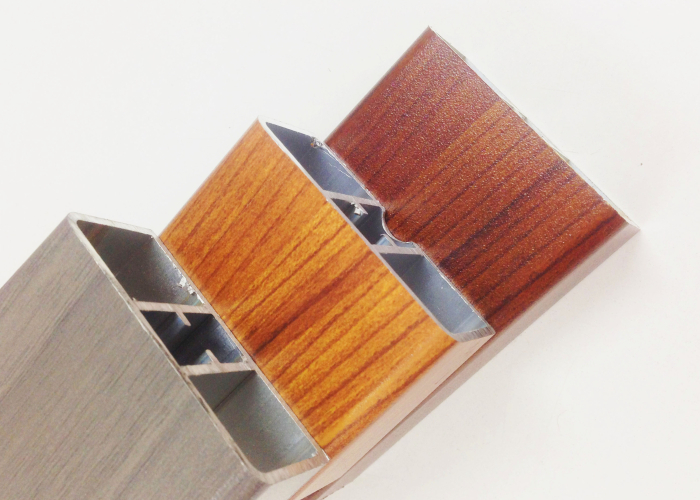 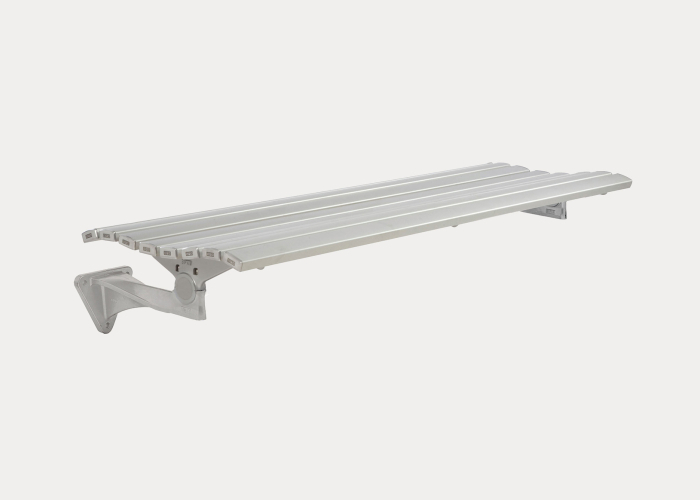 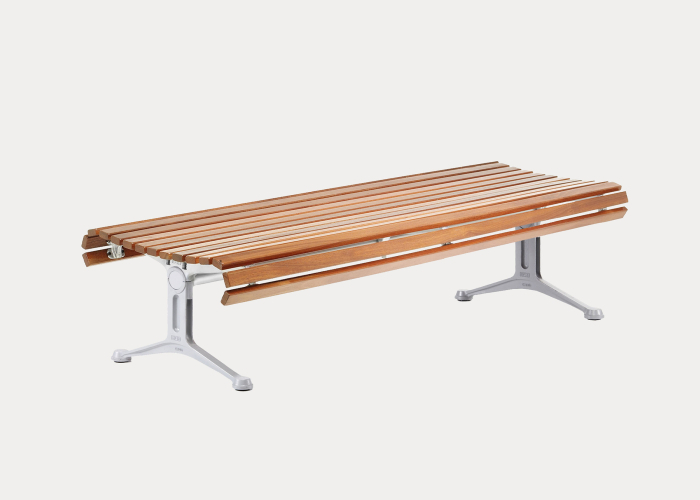 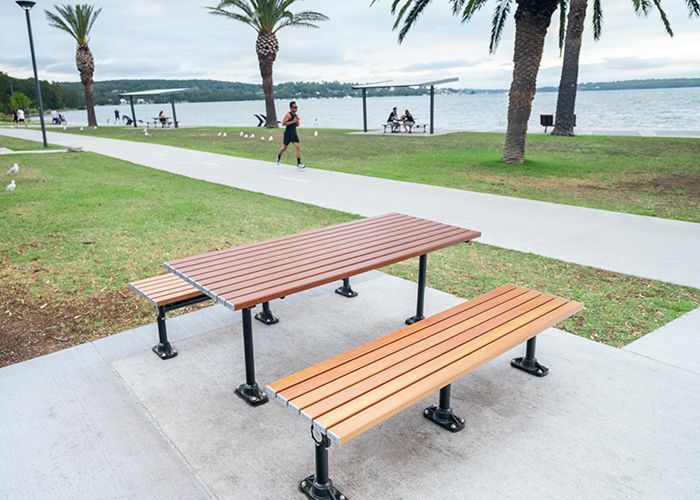 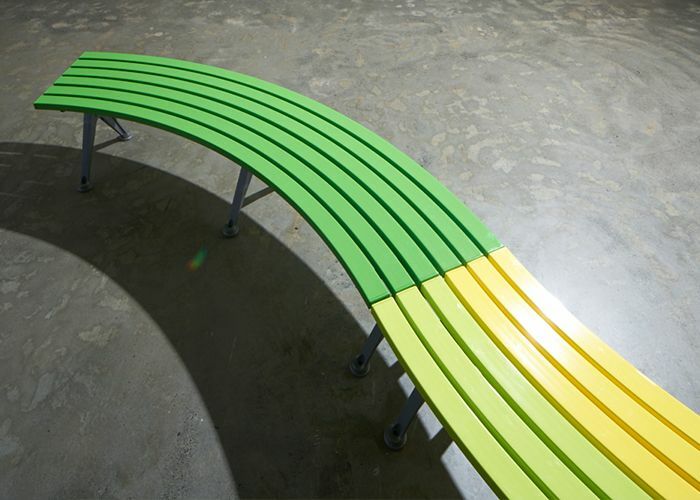 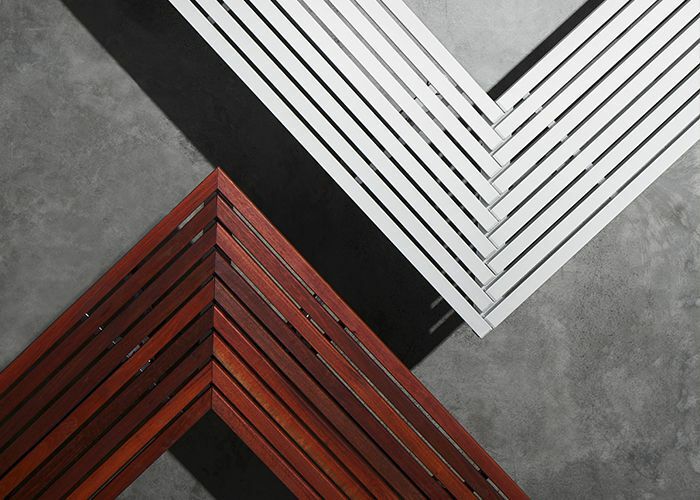 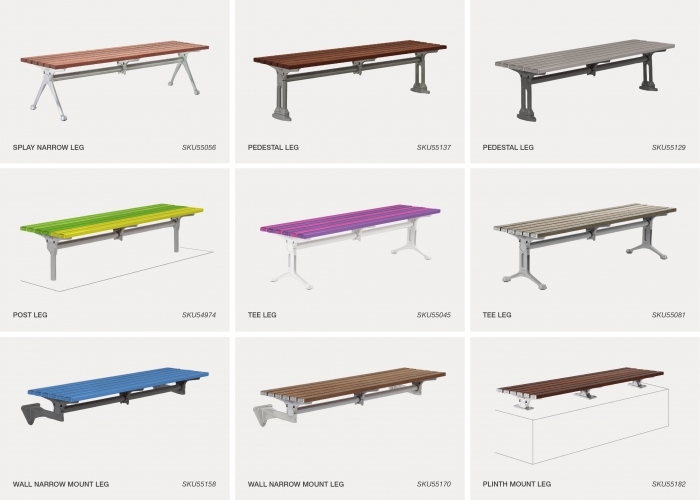 Mitred Slim Benches feature slick 90° ends in timber, and stepped 90° for aluminium battens. 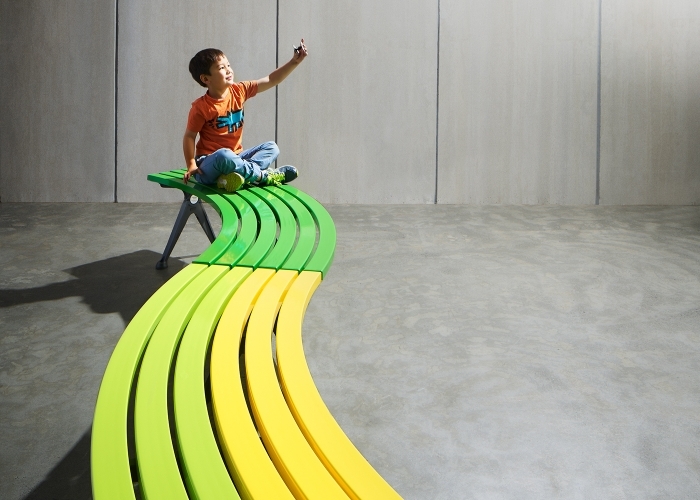 Group together to create squares, hexagons or custom shapes. 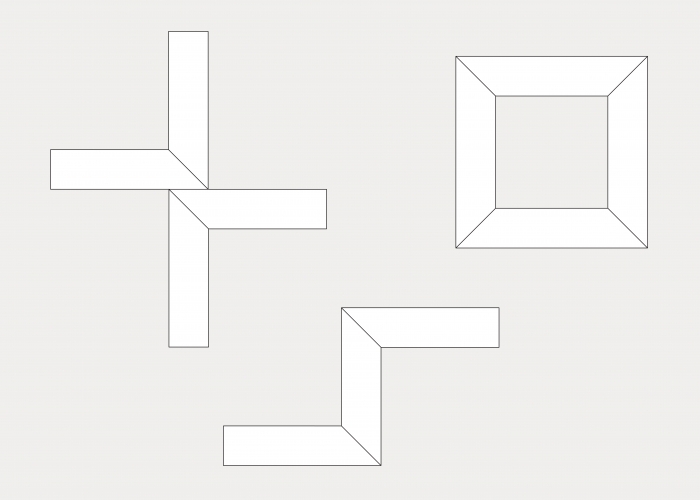 Tailor it fit modular: Create s-, c- and o-shapes. 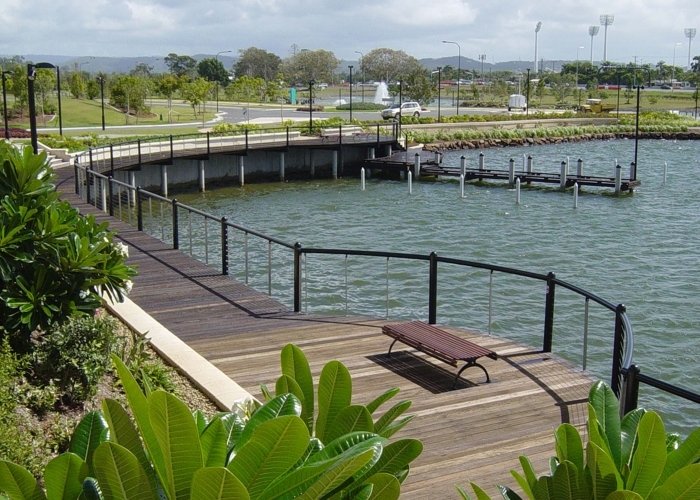 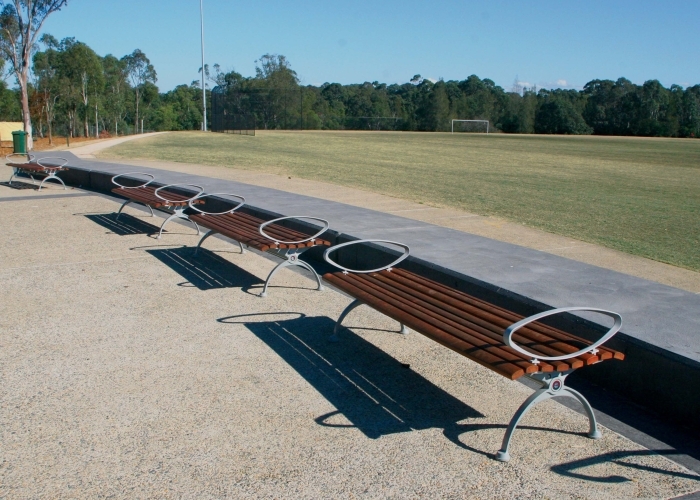 Kellyville Park is a large sporting complex with facilities for soccer, tennis, cricket, netball, baseball, tee ball, AFL, Rugby League and Union. 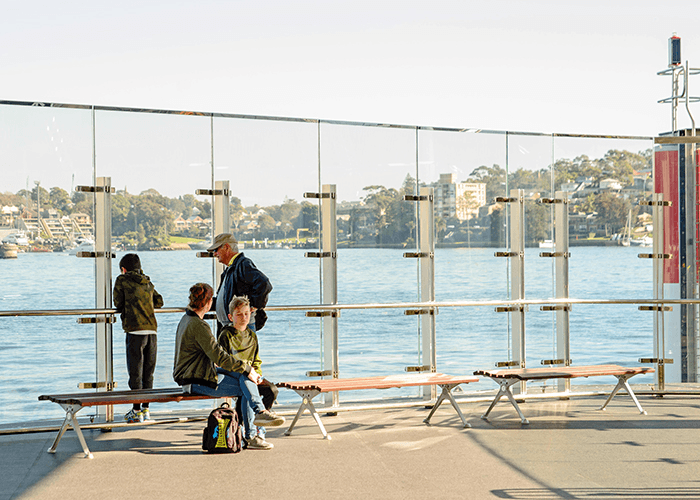 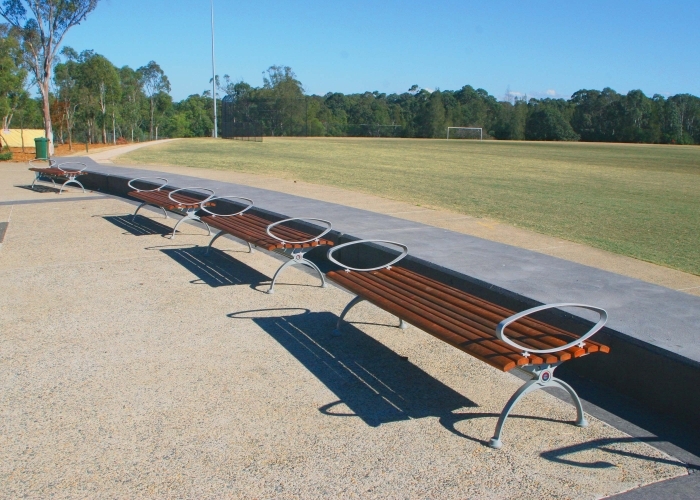 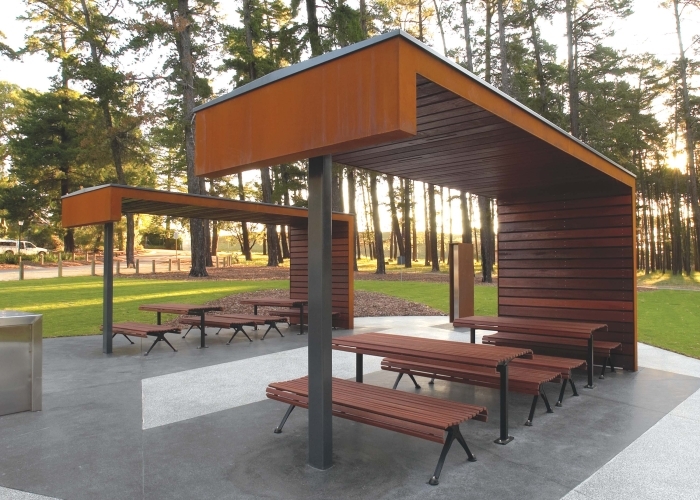 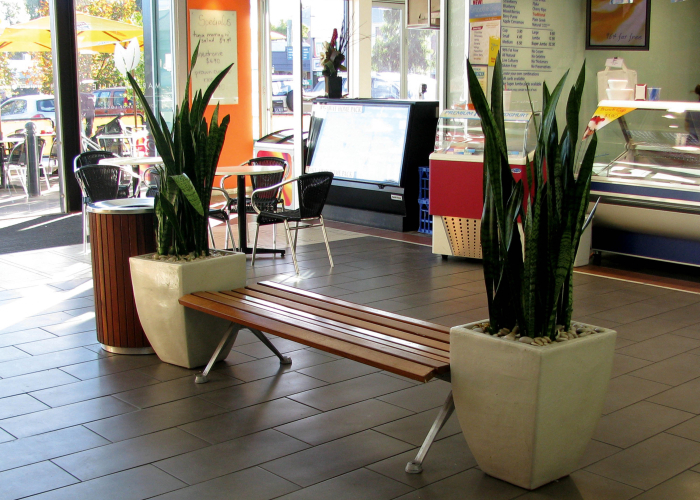 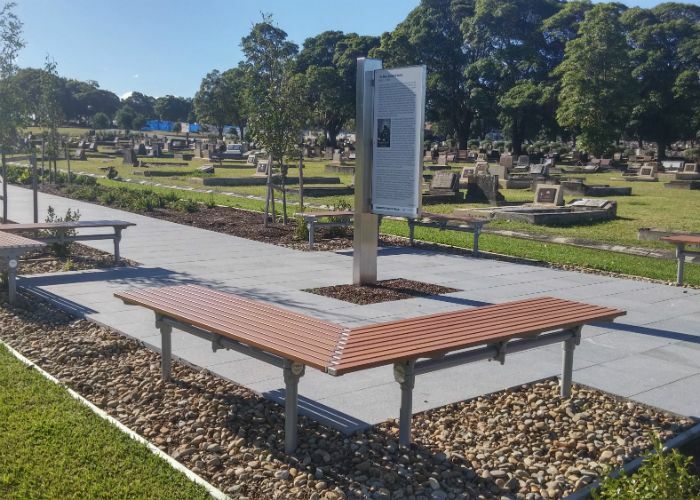 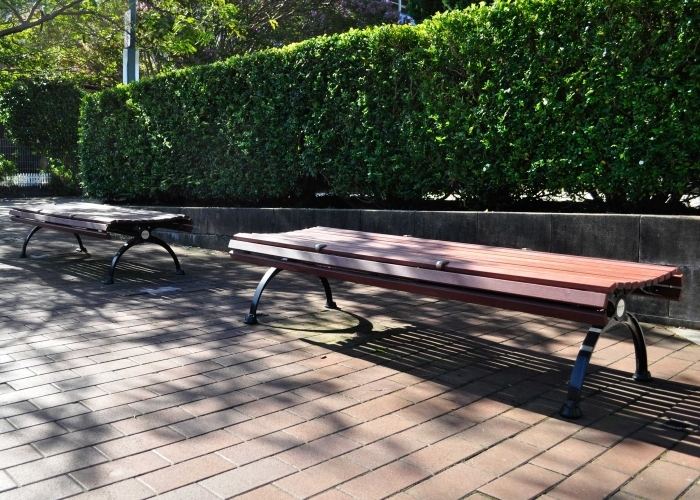 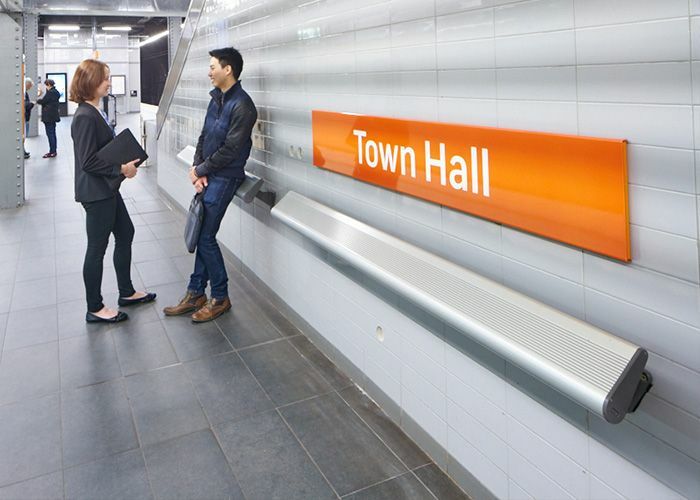 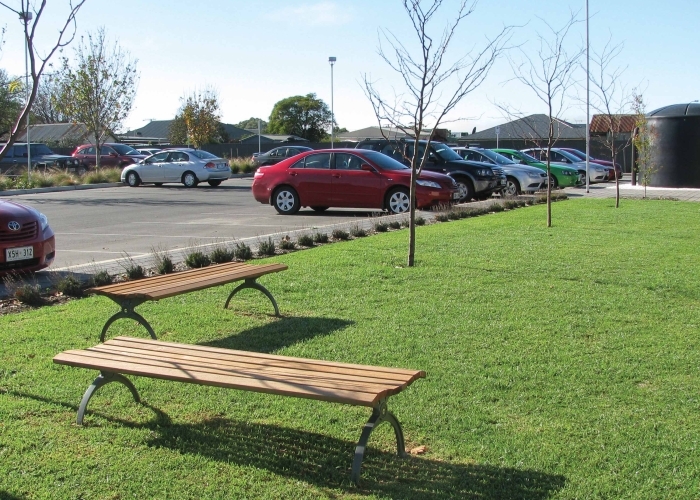 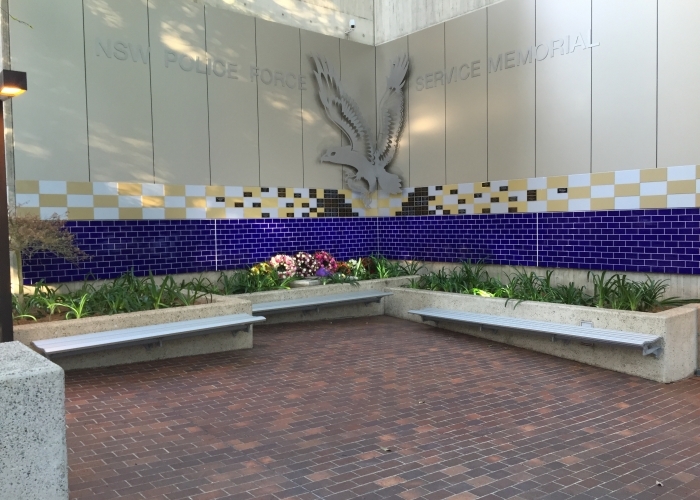 Lining the fields, Mall Benches, Tables and matching Slim Benches support the local action.